Update: President Trump just turned the rhetoric dial to 11 with a tweet that proclaims "the beginning of the end" for Harley Davidson. As we noted previously the majority of Harley employees back Trump and blame EU and as Trump notes "employees and customers are already very angry with them." We would expect a response from Harley as this is very much fighting talk from the President. President Trump blamed motorcycle maker Harley-Davidson for using trade war as an excuse to move production for European customers abroad. In an early Tuesday tweet, Trump said that "early this year Harley-Davidson said they would move much of their plant operations in Kansas City to Thailand. That was long before Tariffs were announced. Hence, they were just using Tariffs/Trade War as an excuse." Early this year Harley-Davidson said they would move much of their plant operations in Kansas City to Thailand. That was long before Tariffs were announced. Hence, they were just using Tariffs/Trade War as an excuse. 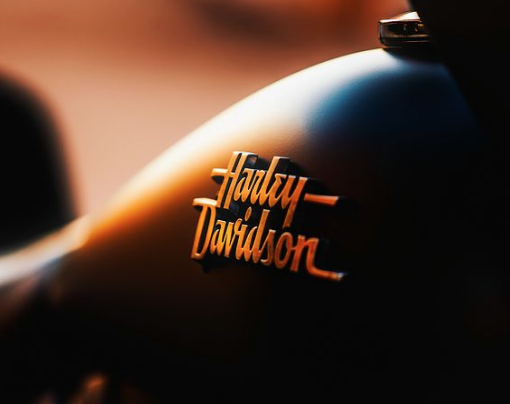 Shows how unbalanced & unfair trade is, but we will fix it…..
As a reminder, on Monday, Harley-Davidson said the 31% tariff the EU imposed on its motorcycles would raise the cost of each bike it ships there by over $2,000. The tariffs from the EU are a response to steel and aluminum tariffs from the Trump administration. Trump then warned the company that it would pay a big tax to sell back into the US: "when I had Harley-Davidson officials over to the White House, I chided them about tariffs in other countries, like India, being too high. Companies are now coming back to America. Harley must know that they won’t be able to sell back into U.S. without paying a big tax!" ….When I had Harley-Davidson officials over to the White House, I chided them about tariffs in other countries, like India, being too high. Companies are now coming back to America. Harley must know that they won’t be able to sell back into U.S. without paying a big tax! In the same series of Tweets, Trump also said that the US is "getting other countries to reduce and eliminate tariffs and trade barriers that have been unfairly used for years against our farmers, workers and companies. We are opening up closed markets and expanding our footprint. They must play fair or they will pay tariffs!" ….We are getting other countries to reduce and eliminate tariffs and trade barriers that have been unfairly used for years against our farmers, workers and companies. We are opening up closed markets and expanding our footprint. They must play fair or they will pay tariffs! Trump then concluded with a tweet on what is a far more sensitive subject: auto tariffs from the EU, saying that a study on EU car tariffs is almost over and that "In the end it will all even out – and it won’t take very long", suggesting the US will indeed impose tariffs on European cars. ….We are finishing our study of Tariffs on cars from the E.U. in that they have long taken advantage of the U.S. in the form of Trade Barriers and Tariffs. In the end it will all even out – and it won’t take very long! As reported earlier, according to an informal FT poll, Harley workers – even those that could end up as collateral damage – are siding with Trump, and blaming the EU for the company's decision to shift production. What's more, several workers appeared to agree with President Trump's assessment that the company's decision to move production is "just a Harley excuse" after Harley closed its plant in Kansas City. In other words, the company is taking advantage of the EU tariffs, and opportunistically "blaming it on Trump." Mark, another Harley worker sitting astride his motorbike during the afternoon shift change at this plant that employs about 1,000 workers, said: "I think Harley is just using it as an excuse" to move more production overseas, after a recent decision to close the company’s Kansas City plant. "They will just blame it on Trump." Asked by the FT whether they blame Trump for Harley's offshoring decision, most workers said they only blamed the EU, and that, regardless of the fallout, it wouldn't change their vote. Asked whether they blame the president or the EU for causing Harley’s offshoring decision, most say emphatically that they blame only the Europeans. "The president was just trying to save the US aluminum and steel industry," one said approvingly. This entry was posted on Tuesday, June 26th, 2018 at 8:26 am and is filed under Immediately available to public, Phil's Favorites. You can leave a response, or trackback from your own site.